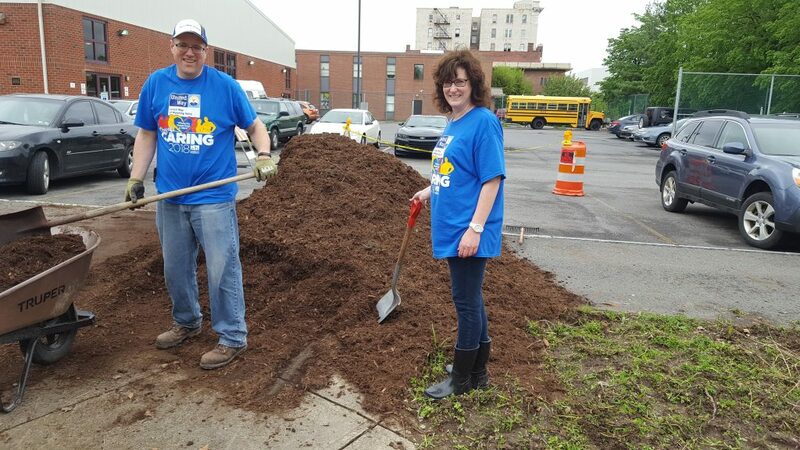 If you’ve visited some of our communities in Northern Pennsylvania, you may have seen some of the work done by Ann Blaskiewicz, UGI’s Community Relations Manager-North Region and her team of employee volunteers. Tell us about your role as Community Relations Manager at UGI. As the Community Relations Manager, I represent UGI in many ways and promote community awareness of our Company. I manage a variety of programs for a specific service area of our Company that take place at certain times of the year. For instance, in the Fall we coordinate our employee United Way campaign which allows our employees to hear about the role the United Way plays to support our communities and provide an opportunity for employees to donate. In addition, I lead and support employee volunteerism programs. Annually, in April, we coordinate a company wide program to recognize our employee volunteer efforts. Throughout the year, many volunteer events take place that foster employee engagement and support the Company’s commitment to community. What are some of your favorite projects/programs to work on in your region? Day of Caring activities are always rewarding. You get to work with a different group of employees and help an organization with a project, whether its painting or spring clean-up, the day is always fulfilling. You end your volunteer day knowing you made a difference. What are some of your favorite ways to give back to your community outside of UGI? I like to give back in ways that may have an immediate outcome. Whether it’s a food donation or a new coat, it’s nice to know that your donation is going to help someone who needs something now. I also like to support efforts in the small town that I call home to strengthen many of the services that are provided by volunteers. 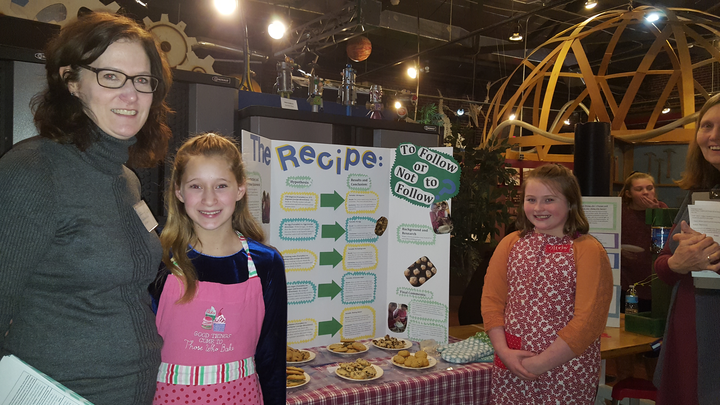 Whether it is helping at the Crime Watch Christmas party for children in our surrounding towns or volunteering for a church dinner, the expression many hands make light work, is true with some of these community projects and contributes to their overall success. Do you belong to any boards? Can you explain your involvement and how it impacts our communities? I am a board member for the Luzerne County Community College (LCCC) Foundation. Foundation board members are asked to serve as liaisons to the community and are committed to raising awareness and funds for LCCC and its students. Donations received by the Foundation become critical in achieving the college’s mission. The LCCC Foundation revenues are given annually to the institution to offer fiscal support for scholarships, instruction and equipment needs, cultural activities and special programs. Founded in 1983, the Luzerne County Community College Foundation has provided millions of dollars in scholarship funds to deserving students and allowed them to fulfill a dream of higher education. If you could have dinner with three philanthropists/humanitarians/activists (living or deceased) who would they be and why? Mother Theresa is greatly admired for her charitable work. She devoted her life to helping those that had the least. There are many quotes from Mother Theresa that hit home with me, two of which are: 1) “Some people come in our life as blessings. Some come in your life as lessons.” And 2) Together we can do great things.” Mother Theresa was a woman of great faith and a devoted humanitarian. I was in Washington DC during the recent government shutdown. Due to this situation, many museums were not open. The one museum I visited was the US Patent & Trademark Office Museum. Not long ago, I did some research on the American Red Cross and discovered Clara Burton was the founder. She was also highlighted in this museum. In 1854, she was hired by patent commissioner Charles Mason as his confidential clerk and became the first woman employed by the government at wages equal to those of a man. Barton is noteworthy for doing humanitarian work at a time when relatively few women worked outside the home. Clara Burton’s life of 91 years really left a mark on history. What community relations project(s) are you looking forward to in 2019? I am looking forward to continuing to build on the success of our existing projects and see what new opportunities will present themselves this year. 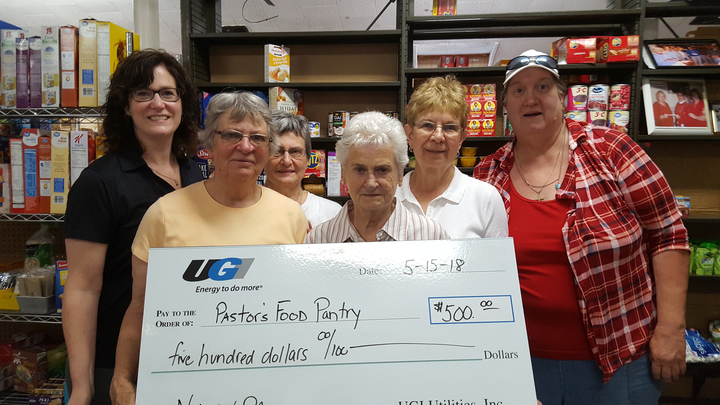 For me personally, I was thrilled last year when we collected over 1000 pounds of food within a 2-week timeframe to support the United Way of Wyoming Valley Christmas in July food drive. I hope we can continue that level of generosity. There is a great need in our community to help fight food instability. When employees from the Williamsport office volunteered at the Central PA food bank, they shared a statistic that one in nine people in central Pennsylvania struggle with hunger, including one in six children. Follow UGI on Instagram, Facebook, and Twitter to see more of Ann as she’s out making a difference in our communities.